We offer a competitive edge in the complex Asian market. At Markono, we continuously build our capabilities to be a trusted supply chain partner for our valued content customers. With full suite of supply chain solutions, customers can effortlessly connect to every single city in Asia and beyond. As part of our strategy to drive productivity and streamline costs, we had built a new integrated warehouse and factory facility to enable print manufacturing, storage and product fulfillment, with state of the art technology, in one single building. 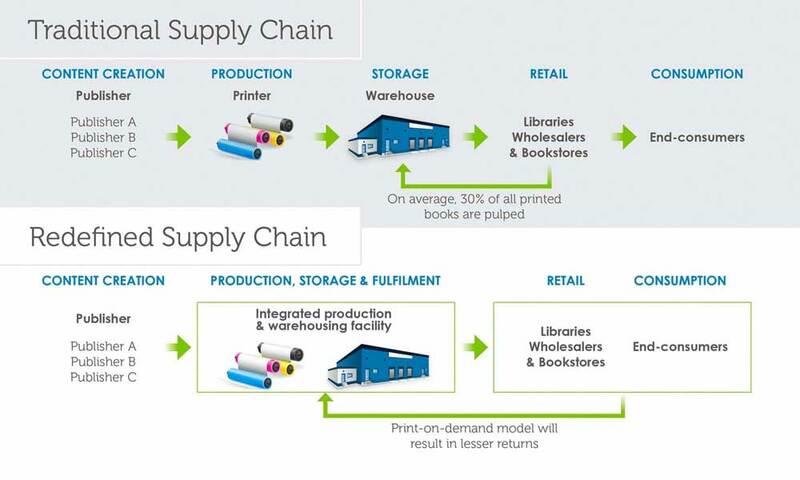 This allows streamlining of processes and movement between production, warehousing and final fulfillment. At the same time, we provide integrated and comprehensive solution in the most optimal cost setting. Furthermore, with our extensive range of innovative resources, we equip customers with the capability to drive their business to the next level. Strategically located in Singapore, Markono is a premier hub for regional distribution in Asia. 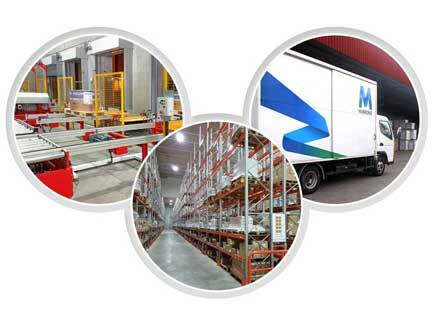 Our state-of-the-art warehouse logistics facilities enable us to maximise storage space utilisation with Automated Storage and Retrival System (ASRS) as well as integrated goods-to-man piece picking & storage system to maximise efficiency and productivity. We also provide a wide range of distribution solutions to suit any product. This includes courier, bulk mailing, international freight, and local transport. We offer a wide range of value-added services to our clients, giving them flexibility in shipping their products. These include shrink-wrapping, kitting, bundling, letter-shopping, and poly-bagging. From document storage solutions to e-commerce fulfillment, put your mind at ease with our dedicated & experienced team to attend to your needs & enquires. Access our proprietary web-based portal, e-Motion, for inventory status at your finger-tips.